We are experts at what we do. Every member of our team of marketing consultants has a broad and deep experience of marketing. Whilst we possess our own particular set of marketing skills, each of us will adopt a similar approach to tackling the issues facing your organisation. We will work alongside you to firstly gain a thorough understanding of your wider market and the impact this has on your organisation. We then take the time to fully understand the way your organisation works - past, present and future. We will also usually research both your customers and your competitors to fully appreciate the impact they have on your market and your organisation. Once we have achieved a detailed and sound understanding of your organisation and the challenges you are facing, we then formulate creative strategic marketing solutions in partnership with you. Our committment is to providing you with pragmatic and enduring answers that will enhance the overall effectiveness of your organisation. Finally, we can help you to put these strategic solutions into action. These are not theoretical exercises, but real strategies which can have a tangible and measurable effect on your results. Above all else, we make a real difference in the performance of our clients. This is why we have high levels of repeat business with our existing clients and a significant number of referrals from satisfied clients. 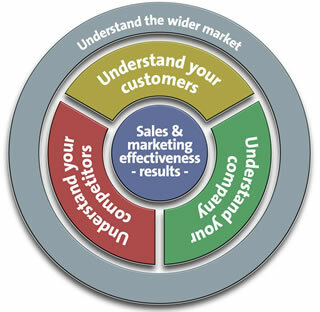 To find out just how we can help you, please call us on 0845 201 1618 or email us at info@totalmarketingsolutions.co.uk.